This adorable chunk apparently is sensitive to chocolate. I noticed he was having trouble taking his naps and not sleeping as well at night. This coincided with my purchase of a bag of Ghiradelli dark chocolates with almonds and sea salt. Which I was eating a LOT of. Oh, and dark chocolate truffles. And all the marvelous yummy chocolate treats that people have brought us with baby dinners. Good gravy, I love some chocolate. Bathing suit season- I am having a tough time finding something that works with my current figure. Although maybe this giving up chocolate thing will assist in the figure department. I think this tankini/coverup combo from Land's End might remedy the situation. This cover-up is pretty cute too. JEM! And the HOLOGRAMS! MOVIE! This could be super awesome (and truly outrageous) or an absolute desecration of a favorite remembered cartoon. Or somewhat remembered- Vulture has an excellent refresher if you need it. I read this article about holiday overkill, and totally agreed. UGH. I get so worn out, especially now with children and expectations. I mean, I am a happy person who likes celebrations but enough already! I thought it was bad pre-kids with wreaths and seasonal holiday decor, but now? My goodness. Just read this for a more articulate description of my exhaustion with this nonsense. In the same vein, several friends posted this article on Facebook. Enough said. I am on the look out for zip-up pajamas-- what brand is the one Deeds has on? Halle(freaking)lujah thank you SO much for the Huffington Post article. I know we put it on ourselves, and we try to keep up with the Joneses, but I have been going crazy with the expectations for holidays. I just cannot keep up with all the art projects / crafts / activities / clothing I'm supposed to have for my 2 year-old for something like St. Patrick's Day or Cinoc de Mayo. 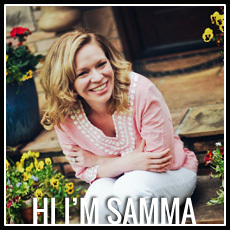 Thank you, Samma! To your last two bullet points, a heartfelt slow clap. Bravo. I'm hosting my inlaws for post-church brunch on Easter (oh right Easter, the day Christ rose, BUT ALSO CHOCOLATE BUNNIES) and I'm not creating a GD "tablescape". I'm going to set the table with our pretty china, I'm going to make a few brunch casseroles and a fruit salad, and I'll decorate with tulips. Oy. The New Yorker article is genius, pure genius. My husband and I talk about this all the time and it literally does make you want to split your skull in half. Also annoying are the pro stay at home mom vs. pro working out of the house mom, those make me want to throw my phone/computer out the window.